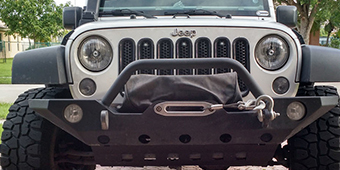 Reach new heights with your JK on these massive lifts that are 5 inches and up! 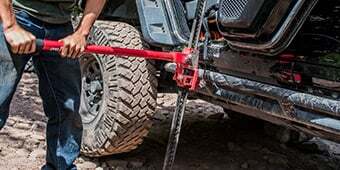 Reach the top of the line lifts for the serious off roader for extreme articulation, huge clearance and the best appearance. 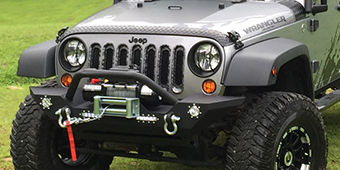 5 inch Wrangler JK lift kits will propel your Jeep Wrangler past the competition and over massive obstacles that could not be marched over or through before. 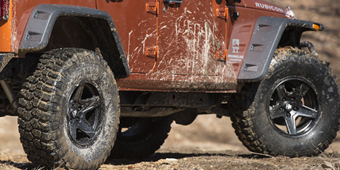 5 inch and up JK lift kits will allow massive off-road tires to be mounted for huge amounts of traction when ploughing through the mud or other tough terrain. 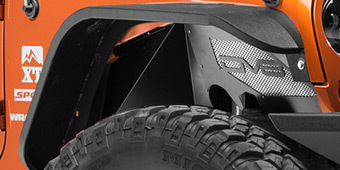 These large lifts are what will make your JK superior then the rest! 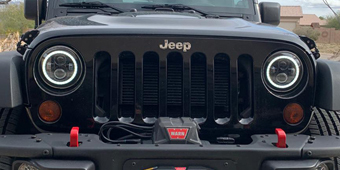 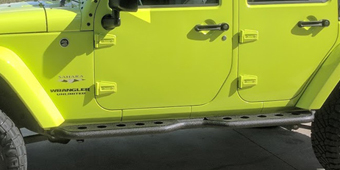 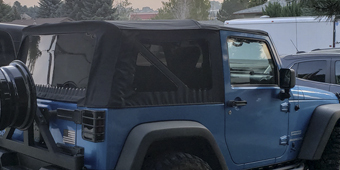 A Wrangler JK 5 inch and above lift kit is usually reserved for those Jeep Wrangler owners who want their rig to be able to handle any off-road terrain. 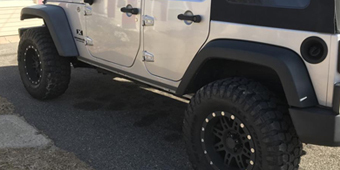 While this size lift kit will easily increase your performance and suspension articulation, it will also allow you to run some of the biggest tires you can find. 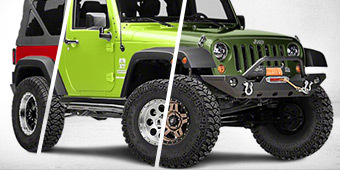 If you want your Jeep Wrangler to become an off-road monster, then this a step in the right direction. 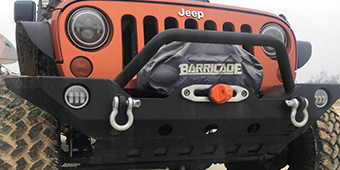 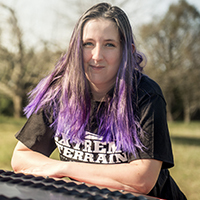 ExtremeTerrain sells a wide variety of 5 inch and above lift kits for your Wrangler JK, insuring that you’ll find the perfect kit for your rig. 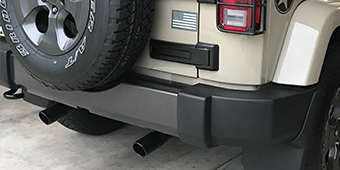 Please note that with the addition of this part, other modifications may need to be installed. 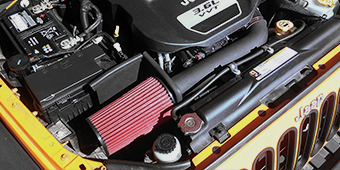 This may include higher gears, bigger differentials and longer brake lines among other things.